I am loving this Heartbreak Hotel series! You check in with heartbreak and leave healed and possibly with a new love. At least that’s the rumor, although Kane Hathaway gets very annoyed whenever it’s brought up. He feels it’s just setting the Hotel up to fail and disappoint its customers, and as assistant manager he doesn’t want to see that. But what was great about this book was it was Kane’s turn to fall in love. With a broken hearted woman, who had been stood up at the alter. She checked in with her friend and maid of honor, Lilly, (in book one) because she couldn’t go home and face every one yet. She just needed some time. But she wouldn’t come out of the room. And in the first book, Lilly met Alec and they left with Audra’s assurance that she’d be fine and be heading home soon too. But she didn’t. 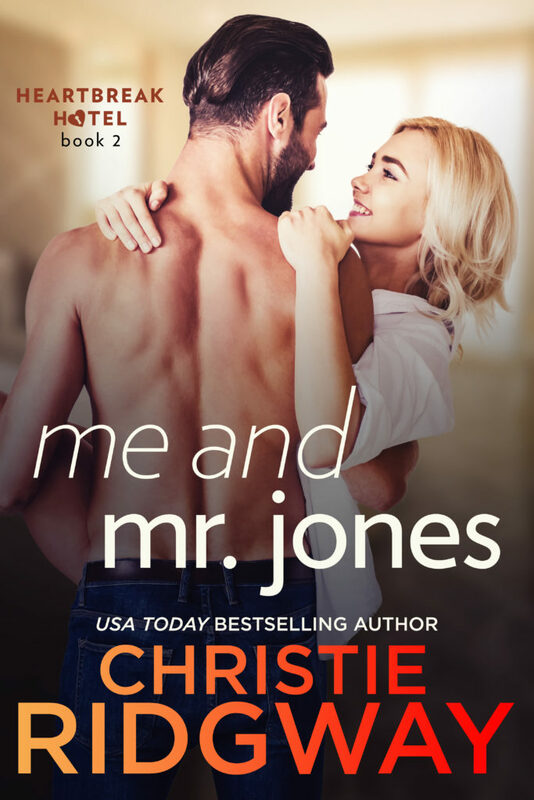 Now, when Kane comes to fill in for the handyman and fix some pipes, or plumbing, he puts on coveralls and brings the toolkit and shows up looking like a handyman with the name Mr. Jones on his coveralls. Hence the confusion as to why Audra starts calling him that and he doesn’t correct her. They are automatically attracted to each other. BUT there are obstacles, aren’t there always? Kane isn’t looking for a relationship for certain reasons, and Audra has lost her self-esteem. But when Kane sees what a mess Audra is (and believe me, she is a mess) he can’t walk away from her. He surprises even himself when he wants to help the poor girl. I just loved the chemistry between these two. 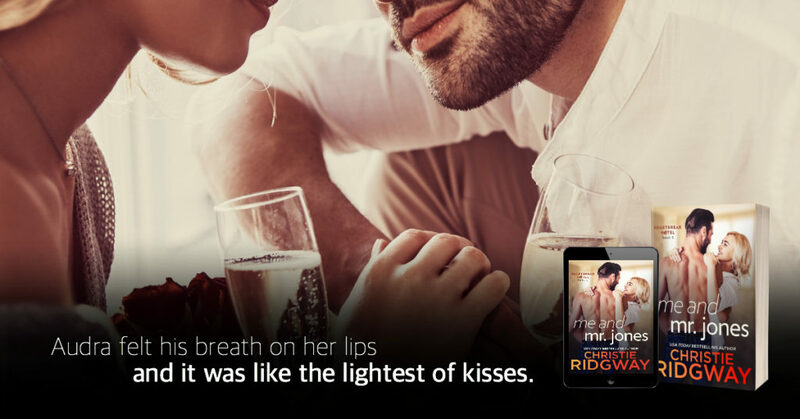 I loved watching this relationship slowly develop, actually the way Christie Ridgway writes, it’s more like I loved being a part of this relationship slowly developing. She really knows how to write romance. 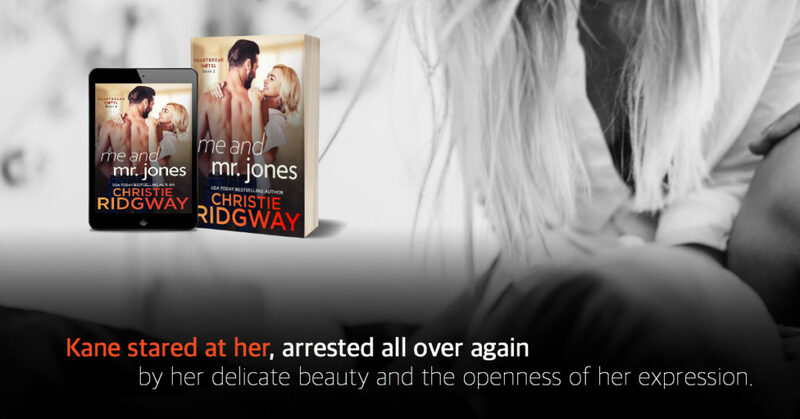 Another 5 Star read from Christie!! I’d definitely recommend this to someone who enjoys a good romance!! Check out the delicious cover now!